These rwo portraits of Charles I’s eldest children – the eleven year-old Prince of Wales, (later King Charles II), and his nine year-old sister Mary, the Princess Royal, (later, the mother of the future king, William III) will be among the highlights of Sotheby’s London Old Master Evening sale on December 5. Conceived and executed in the summer of 1641, months before the artist’s death in December the same year, it is possible that they are the portraits of the Prince and the Princess recorded as being among the possessions left in the artist’s studio in Blackfriars on his death. 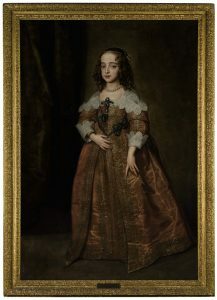 Epitomising the extraordinary skill which Van Dyck brought to child portraiture, a genre in which he had excelled ever since his early years in Genoa, both works provide a penetrating likeness of the royal children at a time when their world, and the Stuart monarchy, was on the brink of collapse. 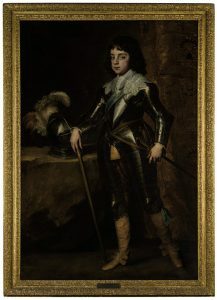 Among the very last works that Van Dyck painted for his royal patron they have been in the same private collection for nearly a century, and come fresh to market with a combined estimate of £2.6 million – 3.8 million. This entry was posted on Thursday, September 13th, 2018 at 7:59 am	and is filed under ART, AUCTIONS. You can follow any responses to this entry through the RSS 2.0 feed. You can leave a response, or trackback from your own site.